Sell your wine online and get on with your day. Vines OS does the work for you. 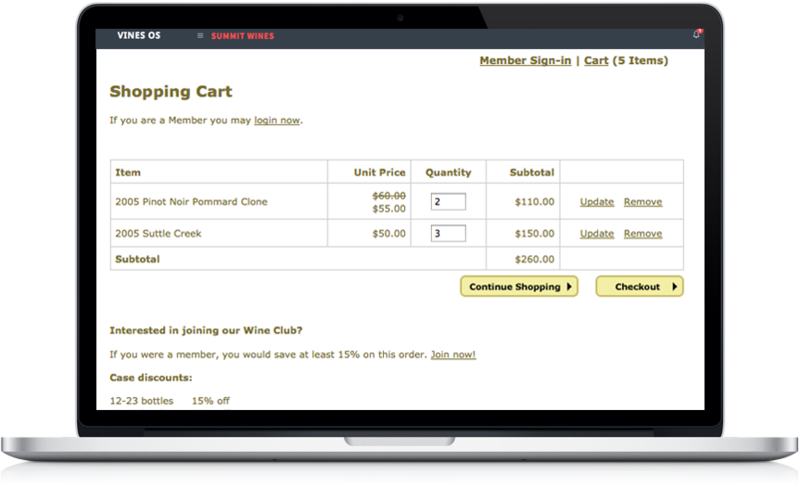 Sell wine: Easily add wine for sale, set member pricing, display flash sales and tiered club discounts. Sell logo’d merchandise or gear, as well. Easy checkout: Responsive streamlined checkout process: no login or registration is required. Loyalty: Filter to find your most loyal customers and offer promotions, coupons or gift orders. Use embedded loyalty tools to target key customers through focused marketing. We take the hassle out of shipping. 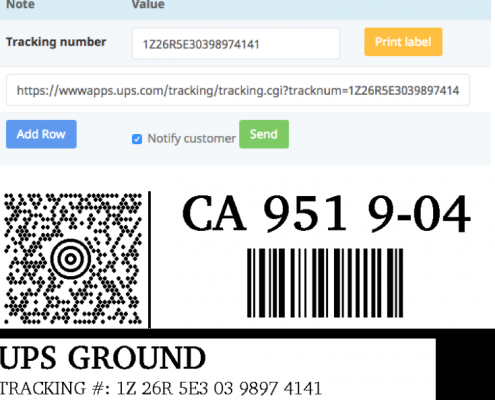 Print shipping labels and invoices to include in the shipment, and track the orders through to when they are sent to ship. Integrated with UPS and FedEx for real time shipping fees and label generation. Send customers a link to real time shipment tracking. 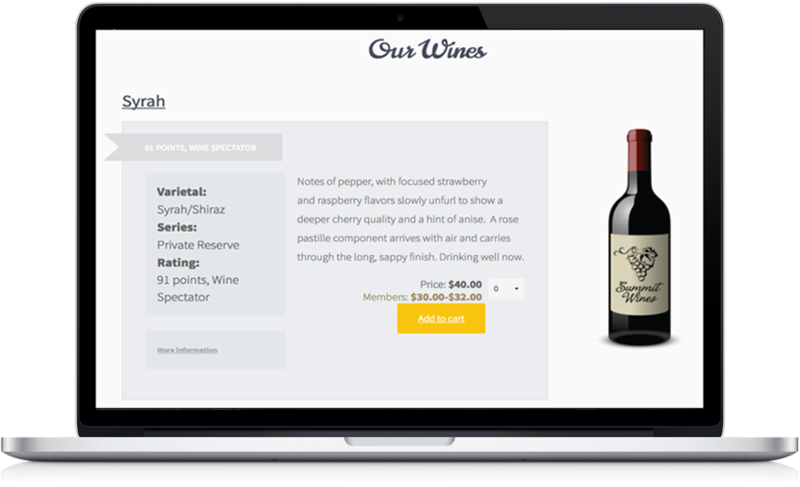 Vines OS has been powering wine club and eCommerce for wineries since 2002.